This strain is Kush squared, with the focus on cannabidiol. SENSI #49 CBD comes from the same line as SENSI #219 AUTO, but instead of being autoflowering, it’s simply feminized. With a THC to CBD ratio of 1:2 and extremely large yields, SENSI #49 CBD is a great choice for indica lovers. Our Hindu Kush has been a favourite of cultivators and cannabis connoisseurs for decades. Now we’re renewing this indica classic. This updated version amplifies all the qualities that have earned it that status: short flowering time, heavy yield, earthy pungent flavours and a strong soporific effect. We always knew Hindu Kush was special, and with the ever-increasing amount of knowledge about CBD we have now, we can really emphasize the levels of this valuable cannabinoid. Sensi #49 CBD is a is a feminized strain, which will only produce plants that flower as females.. The Sensi #49 CBD strain has large proportion of Indica genes in its background. Sensi #49 CBD will need an average flowering time to reach their full potential. Sensi #49 CBD will have relatively small height gain during the flowering phase. Sensi #49 CBD can produce an outrageous amount of weed, but may require a little extra attention. Sensi #49 CBD can be grown outside in a normal warm summer. Sensi #49 CBD Seeds is added to your shoppingcart! 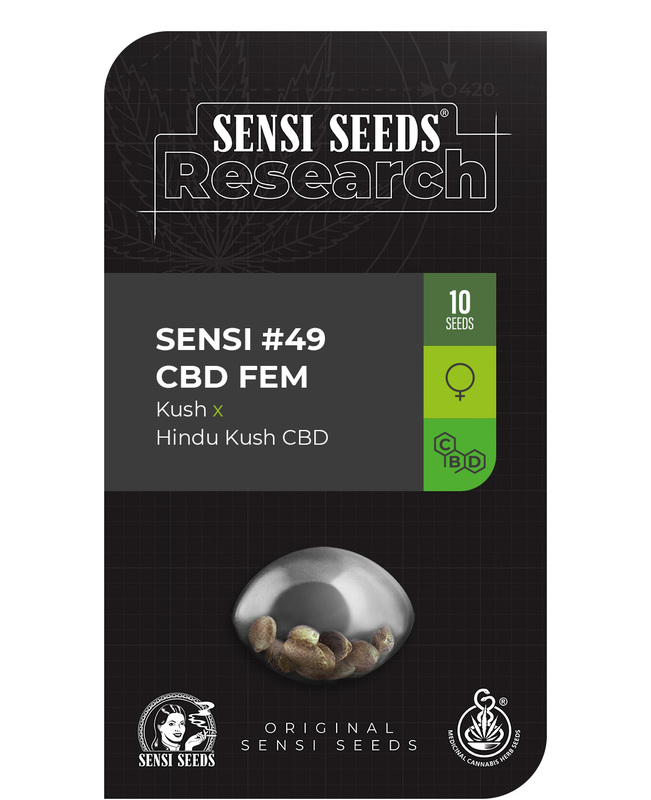 Sensi #49 CBD Seeds is added to your wishlist!